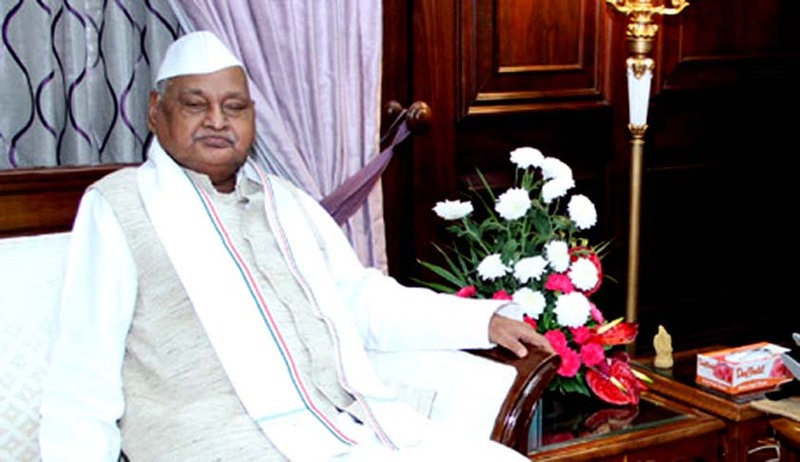 In a major embarrassment to Madhya Pradesh Governor Ram Naresh Yadav, the Supreme Court today issued notice to him, state government and the Centre on a plea seeking his removal for his alleged involvement in the sensational Vyapam scam. They challenged the MP High Court verdict quashing the FIR against Yadav. The order came on a petition filed by a group of lawyers from Jabalpur district in Madhya Pradesh worst affected by the scam. On their plea the court also sought a reply from the centre on framing guidelines for removal of governors being probed in corruption case. At present sanction of the government is required for their prosecution. Yadav is accused no.10 in FIR filed by Madhya Pradesh’s Special Task Force on February 24, 2015. The MP High Court had quashed the FIR against him on grounds of immunity because of his constitutional post, but Supreme Court could open the gates to a CBI probe against him — if and when he resigns or is relieved of his post. The allegation against him in the Vyapam scam is that he had recommended the names of five candidates for appointment as forest guards. The forest guard recruitment test was held on March 3, 2013. The names were mentioned in an Excel sheet seized from the computer of Nitin Mohindra, an MP Professional Examination Board official who is one of the first three accused, the other two being his colleagues Pankaj Trivedi and Chandrakant Mishra. The accused have booked under IPC sections 417, 420, 467, 468, 471, 477(c) and 120(b), which relate to cheating, forgery and similar offences, besides sections of the Information Technology Act, the MP Manyata Prapta Pariksha Adhiniyam, 1967, and the Prevention of Corruption Act. While appearing for Yadav, senior advocate Ram Jethmalani had alleged in the high court that the Excel sheet was forged. Jethamalani argued that a mere recommendation did not constitute an offence because his client believed the candidates were adequately fit for that job and there was nothing in their character and antecedents to disqualify them. He said no FIR should have been registered without a preliminary inquiry. While quashing Yadav’s name from the FIR, the high court had said the immunity he enjoyed would last only till he was in office. The probe agency was free to take his statement but no coercive tactics should be used, the high court had ruled. Last July, while celebrating his 87th birthday, Yadav had said, “I am ready to be hanged if my guilt is established in the Vyapam scam. I have spent six decades in public life and I have never been involved in any wrongdoing.” He would not think twice before quitting the constitutional post if the allegations were proved, he had said while reacting to reports that expensive gifts had been exchanged at Raj Bhawan in exchange for the jobs he had allegedly recommended. Seeking a fair probe by the CBI, the Congress general secretary Digvijay Singh too had moved the apex court, accusing the state government and the Special Investigating Team of ignoring crucial evidence and attempting to tarnish him as a person who "fabricated and forged to mislead the investigation". In his petition seeking a CBI probe, Singh recounts that an 'external whistleblower' had approached him in December 2014-January 2015 under threat of life from high-profile persons of Madhya Pradesh and state police agencies. "The whistleblower was privy to very sensitive incriminating/damaging information regarding the involvement of the chief minister and his family in the Vyapam scam," the petition said.